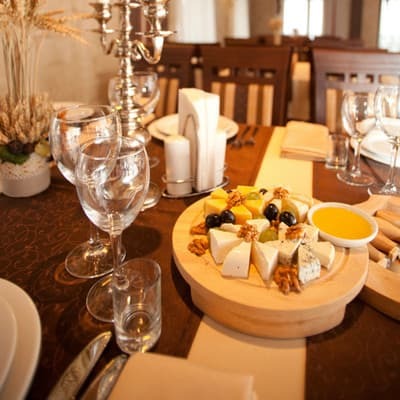 "Leybova Gora" Hotel is located in the beautiful nature place. 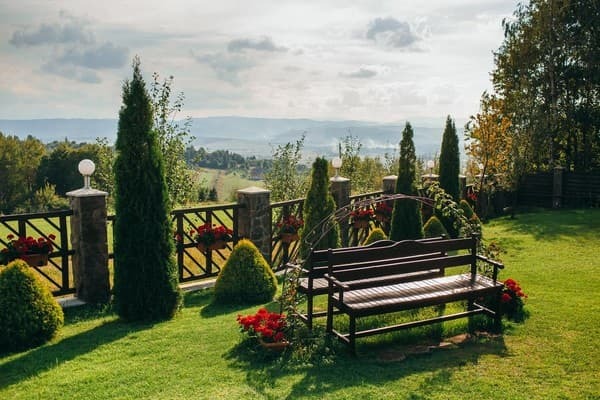 Windows offer spectacular views of the Carpathian Mountains. 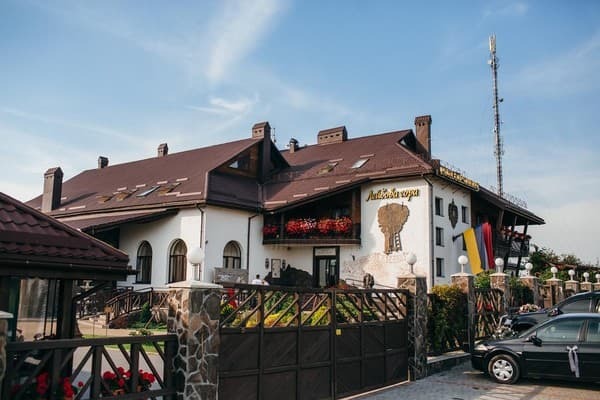 Hotel - Restaurant complex "Leybova Gora" is located in interestingly built chalet-style building that perfectly combines classic elements and Ukrainian themes. Well thought out interior design allows you to feel easy and comfortable; and the views from the windows make you relax and get away from everyday problems. 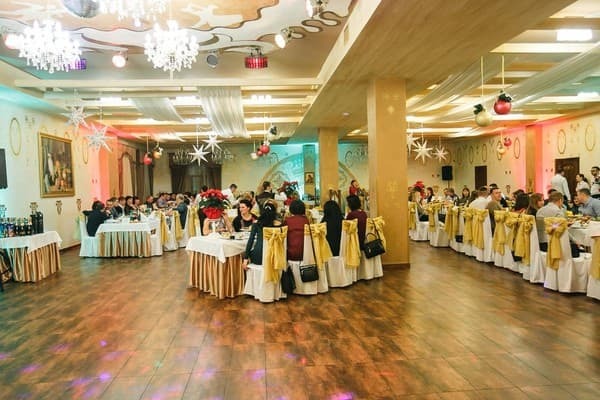 Hotel has everything you need for recreation and unforgettable family holidays. Description of the room: In the category Standard double there is everything you need - a double bed, TV, wi-fi. Each room has alarm system, air conditioning is installed. The water supply is autonomous. When settling one person, the cost is 280 UAH. Description of the room: In the category Standard Superior there is everything you need - one large double bed and another one and a half bed (there is also a room with three beds) a wardrobe, TV, wi-fi. Each room has alarm system, air conditioning is installed. At settlement of one person, cost - 320 grn. 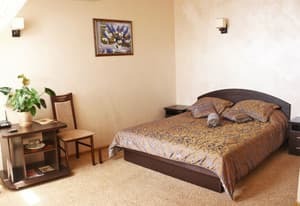 Description of the room: In the category Standard Superior there is everything you need - a wide double bed, wardrobe, TV, wi-fi. Each room has alarm system, air conditioning is installed. The water supply is autonomous. When settling one person, the cost is 280 UAH. Превосходный интерьер,красивый вид на горы. Children up to 5 years stay free of charge. Extra bed for children from 5 to 14 years costs 40 UAH/day. Extra bed for adults costs 80 UAH/day. 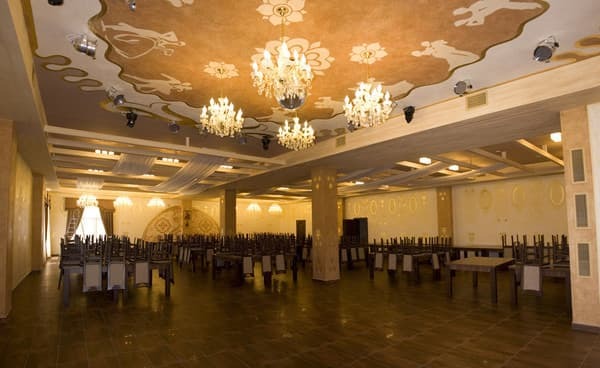 Hotel is located on top of a mountain, near the highway Ivano-Frankivsk - Nadvornaya (27th kilometer). By bus from Bohorodchany village to Nadvornoy.